How can you budget when you’re broke? How can you get out of debt when you’re in so deep you’re not sure where to start? You may have all of the dreams and aspirations in the world to get your debt paid off, but how do you begin when there’s not even money to make ends meet? The thought of figuring out exactly where you’re at money-wise right now may seem overwhelming, but it really is a crucial first step. Now is the time to write down every asset and liability you have. For liabilities, write down whom you owe, how much you owe, the minimum payment and the interest rate you’re paying. For assets, write down who has your money, how much money they have and what interest rate you’re earning. Also, write down exactly how much income you’ve got coming into your household. If you’re on a commission basis, average last year’s income, or use your base pay amount if you have one. Knowing exactly where you’re at financially is the first step to budgeting when you’re broke. Now that you know how much you owe and how much you own, it’s time to figure out monthly expenses. Write down each monthly payment and what it’s for, and put them in order of priority: living expenses first, such as shelter, food, electricity. Bill payments such as to your credit cards, loans or medical bills second. Extras such as cell phones go in the third category, as do kids’ extracurricular activities, vacation plans and entertainment money. Be honest with yourself as you’re making this list about what’s most important to pay as far as you and/or your family’s safety and well-being is concerned. I know it may seem overwhelming, but now is the time to start saving money on a regular basis. By saving money you begin to break the cycle of being broke and having money to fall back on when an emergency arises. You may think saving is impossible – it’s not. You can even save a few dollars every few weeks through one of my favorite tools – Digit. Digit connects to your checking account, analyzes your spending, and pulls out small amounts (we’re literally talking several dollars here) and moves it to a savings account. Digit works in the background to automate savings and even has a no-overdraft guarantee and you can access the funds at any time. The best part of Digit – it’s free to use so there’s no excuse not to open an account with Digit and start saving money. Time to get real here, and it’s not easy. If you’re trying to budget when broke, you don’t have room for extras. The clothing budget needs to be kept to a bare minimum, necessity-only clothing. Budget in a small – and I mean small – amount for entertainment, and look for cheap and free ways to entertain your family, such as the local library or a nearby beach. Take an honest look at your budget and make those tough decisions about what needs to go. There are many ways to save money every month, pick a few and throw your savings at the debt. And stick to it. Pay your bills according to priority, and let the rest be late if you truly have no other choice. And now’s the time to start looking at either increasing your income, or revisiting your expense list to look for more cuts. Can you get overtime hours at work? Pick up a second job? Look for online income opportunities? Can you sell your “stuff” on Ebay, Craigslist or at a garage sale? Ultimately, you can only cut your expenses so much. You also need to bring in extra money. There are many ways to make extra money, even if you feel you have little talent. Find something to earn extra income each month and throw the money at your debt. If you’re in a situation where you really are broke, and where it’s difficult to pay the bills on time, you need to make a plan that will allow for more income or less expenses so that everything due each month can be paid and paid on time. Waiting and paying late will only result in lots of late fees, meaning less money for you and/or your family each month. I know making a plan may feel intimidating, it doesn’t have to be. There are many ways to make a plan, from a simple pen and paper or something automated to do it for you. My favorite tool is Personal Capital. Personal Capital is free to use and allows you to sync all your bank accounts, credit cards, etc. so you can track all of your expenses and find money saving opportunities. You can open a Personal Capital account today and get started in as little as 15 minutes. Now is also the time to see if you can get lower interest rates on your credit cards, mortgage and loans, and higher earnings rates on any investments or savings accounts you might have, while still minimizing risk. You can also find a balance transfer credit card to reduce your interest to 0%. Do your homework and see how you can earn more money by reducing interest paid and increasing interest earned. Budgeting while you’re broke can be done. Yes, it takes some extra discipline, some creativity and the commitment to follow through, but you know it will be worth it when you reach the day where money isn’t tight anymore. Imagine that day, and keep it in your “dream” file as you work toward your goal of being debt-free. Additional resource: If you’re trying to pay off debt but making little progress you may benefit from consolidating your debts into one loan to lower your interest rates. In many cases you can lower your rates by at least 10%, which means more of your monthly payment goes towards killing your debt once and for all. There are many options available though the best option is through Lightstream. Check out rates at Lightstream today and kill that debt for good! Other than the items already listed, what is something you cut in order to live within your budget? If you do try to live within a budget, what are some challenges you face in sticking to it? Hey Laurie!! That’s great new.. Johns a great guy! I think when one is broke and they want to budget they can but the biggest part is the plan. When it comes to budgeting all it becomes is a way to track money so we know where it’s going and how much to spend. Planning and knowing everything about one’s personal finances is the starting point. I think once people get into the swing of it they will learn where they need to start cutting expenses and find a way to make ends meet the best they can whether through those cuts or making more money. Where there’s a will, there’s a way. Great post, Laurie! Prioritizing expenses is so important. Knowing what expenses you can and can’t live without is definitely an important part of budgeting. Exactly, DC. It’s so important to be able to be honest with yourself about this. It’s a key to success, in my opinion. I think having a budget to follow when you’re broke is really essential. 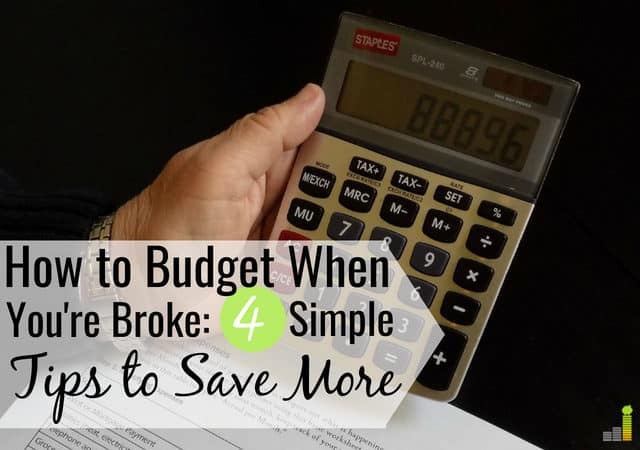 I do agree with you that when a person is broke, he can’t really afford to spend money on any unnecessary expenses or extras, and having a plan can really help them out. I like the idea of evaluating your situation and making a plan. When people say that can’t do something it just pisses me off that they usually say that before they attempt to do anything. Don’t give up before you even start. There are usually a lot of things people CAN cut out but dont want to! I SO agree, Thomas! Facing the situation and cutting those things out is likely the most difficult part of the whole thing, but it CAN be done. I remember when we decided to go back and add up all that we spent in 2012 and categorize it. I got about two months in, saw how much money we had wasted, and about had a nervous breakdown. It was horrible. But it’s what led us to the place we’re in now: making changes for the better! I would add when prioritizing bills pay ones that will effect your credit rating after necessities (1- rent/mortgage, 2- heat/water, 3- debts) when we used to have to play aroundwith our bills I’d always make sure mortgage, heat, debts were paid followed by cell phone whilch can effect credit rating but may play around with say water or internet bill if necessary. That’s a great point, Catherine. As long as they don’t shut off the water. 🙂 I remember being a kid one time and my mom got an electricity shutoff notice in the middle of winter. Yikes! Seriously, though, you’re right one here. It takes some creativity, but it can be done. It’s much harder to budget when you’re broke, that’s for sure! I do think these are good tips and that it can be done with some creative thinking! “…and stick to it” is my favorite part. Post the plan all over the place so you remember….tell everyone you know….just stick to it! Exactly, Joe! That’s one of the reasons we started blogging about our journey; it really helps us stick to it. There are so many expenses we think we “need” that we really don’t. If you’re in a desperate situation, trying cutting something out for a month and see if you miss it. Even if you find that you do, you’ll probably also find that it wasn’t the worst thing in the world to not have it for a month. Then you have the ability to make a truly objective decision rather than a theoretical one based on how much you “might” miss it. I will warn against simply look for ways to earn a higher interest rate on your savings. If you’re really broke then chances are good you don’t have much savings to begin with and therefore you really need to know that whatever you do have will be there when you need it. Facing that reality, trying to chase a higher interest rate will likely put you more at risk than you can afford. There are certainly simple things you can do like open an online savings account instead of sticking with your brick-and-mortar, but beyond that you really shouldn’t chase higher yields that put your money at risk. That’s a recipe for getting yourself into even more trouble. Agreed about the savings rate, Matt. Also, about cutting things out: we have cut SO much stuff out, and we don’t miss a lick of it! It brings so much more gratification to know we are getting our finances in order than it ever did to have/do all of the stuff. Thanks for the input, great advice! I agree with Matt on the whole needs vs wants thing. If you are broke, you need to figure out why that is. What are you spending your money on? Otherwise, you will always be broke. It’s hard to change, and it’s easy to complain about having no money. You can always find someone to chime in with you on that one, but anyone can do it. Great to see you here, Laurie! Exactly! When we sat down and tracked our expenses, we were flabbergasted at how much we were simply wasting on stupid stuff like pretzels at Target and extra trips to the grocery store because we wanted nachos for dinner. Ridiculous! I agree! I like how you talk about having a plan, I think this is really the key. Having a plan to stay on a budget is really the first step in the process. Calling companies for better deals is another idea too. You’re right, Monica! With no written down, thought out plan, chances of success, in personal finance or elsewhere, are little to none. Great to see you here Laurie! I don’t have a budget but I am broke with huge debt to pay and my only real piece of advice is to increase that income and cut out the ‘wants’ in your life and after awhile you will find that you didn’t even really miss it! Thanks, GMD! We are right there with you on the huge debt to pay. But I think commitment is key here. We’re both committed to getting rid of it, and that’s a huge part of the battle, don’t you think? Great post Laurie! Good to see you on here! Budgeting when you’re broke is no doubt a lot tougher. But I think creativity is the key – looking for creative ways to reduce your expenses and become your own greatest resource. 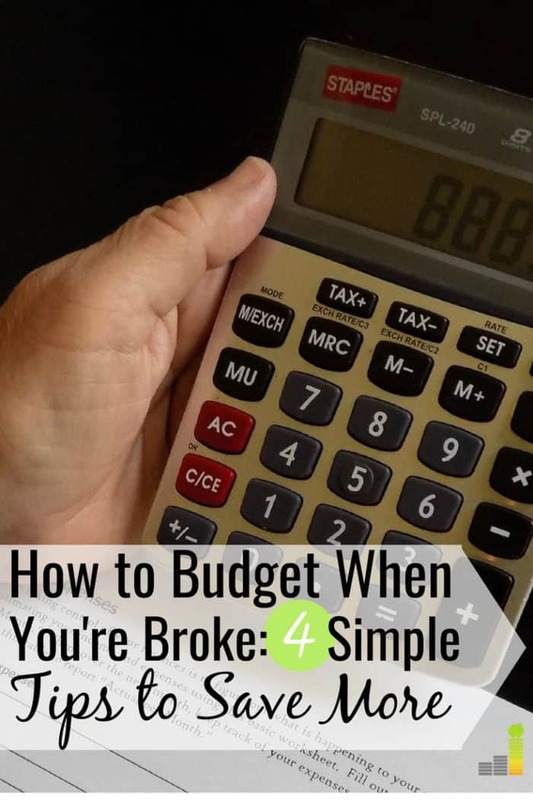 Whether you’re broke or not, things will break down and it’s important to not only budget for those emergencies, but to great creative and learn how to do some of those things yourself. Thanks, Anthony, and thanks for the comment. 🙂 Totally agree about creativity too – it really does make a difference. I know we’ve saved tons since learning more DIY stuff. Great post Laurie. It’s not easy trying to budget further when you feel broke already but it just goes to show it can be done, as you say you’ve just got to get real about what you want and what you really need. Yeah, the “getting real” part is hard, but definitely, at least for us, was the best part of the whole thing. It allowed us to face the music. I think prioritizing your expenses is important for everyone, but even more important for people struggling with debt. Great post Laurie. I agree, Sean. When you’re in a tight situation, it’s got to be decision making time and prioritizing expenses really helps to make choices about who gets what part of your money. From personal experience having a plan to follow when you are broke is key. I like to make a budget for each one of my paychecks. I list everything I am going to pay as soon as I get money in my hand. This make me feel more in control. We do the same thing, Alexa. As soon as that money hits the account, we get rid of it by paying bills ASAP. Like you, it makes us feel on top of things. Great post Laurie! It’s the hard part for me about really sticking to the budget but I am working on it. It’s so important to just crack down on expenses and leave the credit cards at home if necessary to follow through. Like you mention about paying bills–I do those as soon as the paycheck hits the bank. Then what little money I have left (outside of saving for next paycheck’s expenses) is what I can work with. I agree, Tara, it can take a lot of discipline. Nearly every day we stand at a spending crossroads of some sort, and I always feel SO much better when I say “no” to the unnecessary stuff, or when I make it through another day without spending. I completely agree. I was really badly in debt not too long ago and it took a lot of mirror time to realize that I was blowing through money like there was no tomorrow! It is hard to determine needs and wants and which wants you would be unhappy without (makeup for me 😉 ) As far as the additional income, it is a savings grace and can help with the transitioning period of trying to get caught up and out of the ditch you put yourself in. Another additional source of income that I’ve come to love is selling groups you can join on FaceBook. Haven’t heard of the FB groups. Sounds interesting! I’m with you, Betsy, about facing the mirror and the wants vs. needs battle. It’s getting easier, but it was a very difficult battle in the beginning. Congrats on the new gig Laurie! I love the tips. Cutting expenses is very important. Analyzing what you are spending can be a shock to some. Same here, Michelle! (I mean you, not me, being one of my faves, LOL. 🙂 ). I’m pretty psyched about my first staff writing gig. Yeah, that analyzing stuff was tough for us in the beginning, but it’s really changes our lives. A budget is important whether you are rich or poor. Your advice works for both! I use these concepts myself and I am not broke. That’s great to hear, Krantcents! I agree too, no matter how much money you have, a budget is crucial. Lack of a budget is how all of those high paid celebs end up broke! Congrats Laurie! I have a few broke friends who must eat out because they work so hard, and they must take a cab home because they stayed out late and they must buy XYZ because it’s just $25. I’ve stopped trying to put some sense into them but it pains me to hear them complain about being broke. Congrats on the new gig, Laurie! 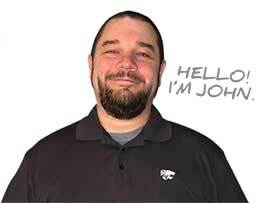 You and Jon will make a great pair. 🙂 While being broke is never an ideal situation, the one good thing I believe it forces you to do is really assess how you spend your money and define wants vs needs. A lot of people don’t track how they spend their money and when they do, they are often surprised by where it goes. Making those initial cuts hurt … sometimes a lot … but over time you discover how clutter you had in your life and learn to value the simple pleasures life has to offer. Thanks, Shannon! I’m pretty excited about it. 🙂 I know being broke really forced us to do that, Shannon. And you’re right on track about loving the simple pleasures. As I said to Matt, I can’t think of one thing that we’ve cut out that we miss. Gaining control over our finances brings SO much more pleasure than all of the “stuff” we used to spend money on! Congrats on the new staff writing position, Laurie! I couldn’t agree more with having a plan and, more importantly, sticking with it. It’s one thing to think of a theory, but quite another to put it into practice! At times, motivation to keep on can wane, but the PF community (well, and real life loved ones) is awesome in terms of finding inspiration and staying motivated! Thanks much, Anna! And you’re SO right, both about putting that plan into practice, and about the PF community – love, love, love it! I totally agree with this Laurie! It’s exactly what I did for my parents. 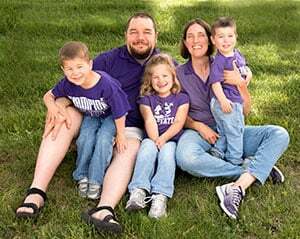 They didn’t want to know how much they owed before, but with the selling of the house and moving, they got a decent amount of money that motivated them to finally get rid of their debt. They should know how expenses look after their first month, but they have a decent plan in place now. They are figuring out which credit cards to pay off and then they’ll have a nice chunk of debt out of the way! I’m really excited for them because it’s been holding us back as a family for a while. We kept our cell phones as we didn’t have a landline when things got rough. Maybe it’s a 21st century thing, but being able to get in touch with people is a necessity in my mind. If for nothing else (like finding gainful employment and having a number a potential employer can reach you at,) for safety. We kicked that cable to the curb, though!